Thanksgiving and Christmas are just months away and one of the first things that comes to everybody's mind is what is on the holiday menu. 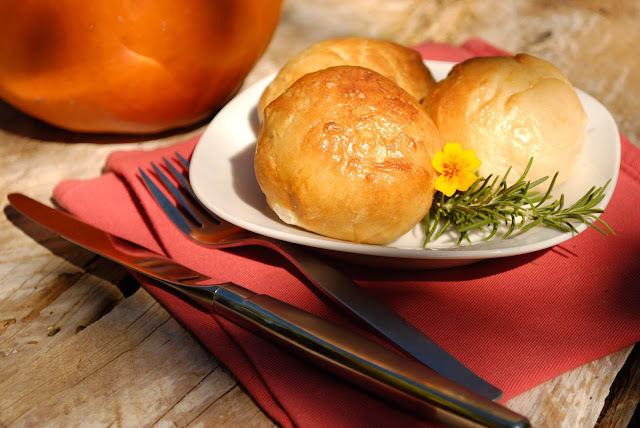 We have the perfect dinner roll recipe for your holiday feast! Begin by combining the milk, sugar, yeast, and salt in a large mixing bowl. Whisk together until the yeast and sugar are mostly dissolved. Add the butter and eggs. Stir to incorporate and break up the egg. Add 1 cup of flour and beat vigorously to fully incorporate the flour and any lumps of butter that may have been remaining. Gradually, add the remaining flour, stirring until the dough begins to pull away from the sides of the bowl. Knead the dough with your hands, adding just enough flour to keep the dough from sticking to your hands. Knead for about 5 minutes, until the dough is smooth, but still light and soft. Transfer the dough to a lightly greased bowl. Cover with plastic wrap and let rise in a warm place until the dough has doubled in volume (about 1 1/2 hours). Punch the dough down, reshape into a ball, and let rise a second time until the dough has doubled in volume again (an additional hour). Preheat the oven to 425F. Shape the rolls and place them on a baking sheet lined with parchment paper or a silicon liner. Let the rolls rise while the oven preheats, until they are a bit puffy. If desired, brush the tops of the rolls with some egg wash (to make them shiny) and sprinkle with sesame seeds (usually do this for hot dog and hamburger buns). Bake for about 12-14 minutes, until the rolls are golden on top. Let the rolls cool for about 10 minutes on the baking sheet, and then transfer to a wire rack. The rolls are best served warm, but they will keep for a few days in an airtight container, or wrapped in plastic.